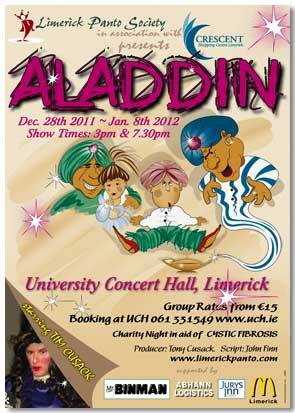 Bovenizer Design has worked with Limerick Panto Society over a number of years designing and illustrating their promotional material. Work commences early each year with pencil sketches before transferring to computer for rendering and finishing. Site Design by Bovenizer Design. Copyright © Bovenizer Design Ltd. All Rights Reserved.